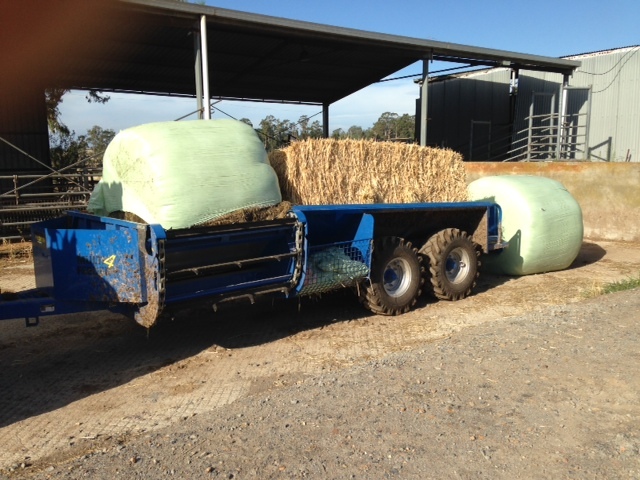 The McIntosh Multi Bale Feeder has been designed to incorporate strength, ease of use and years of trouble free use. 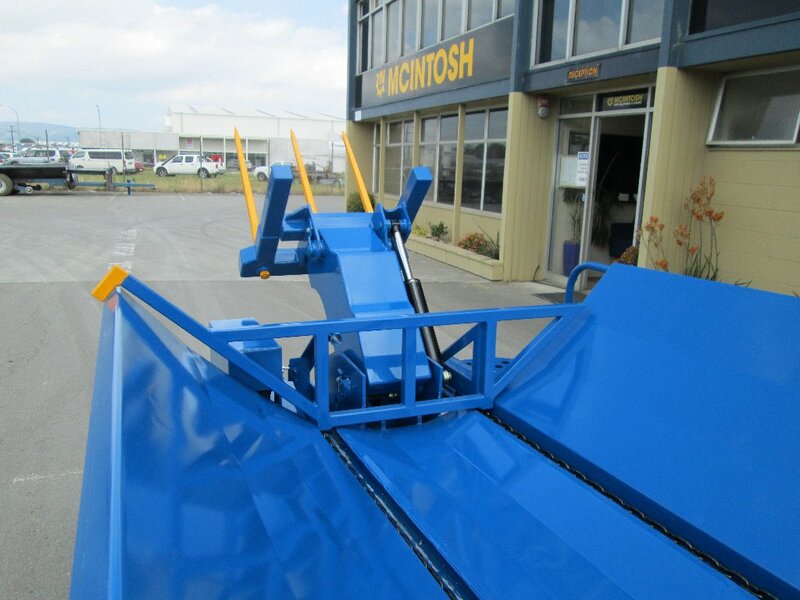 With a spear loading system and low centre of gravity, the McIntosh Multi Bale Feeder will lead the way in feeding out machines. 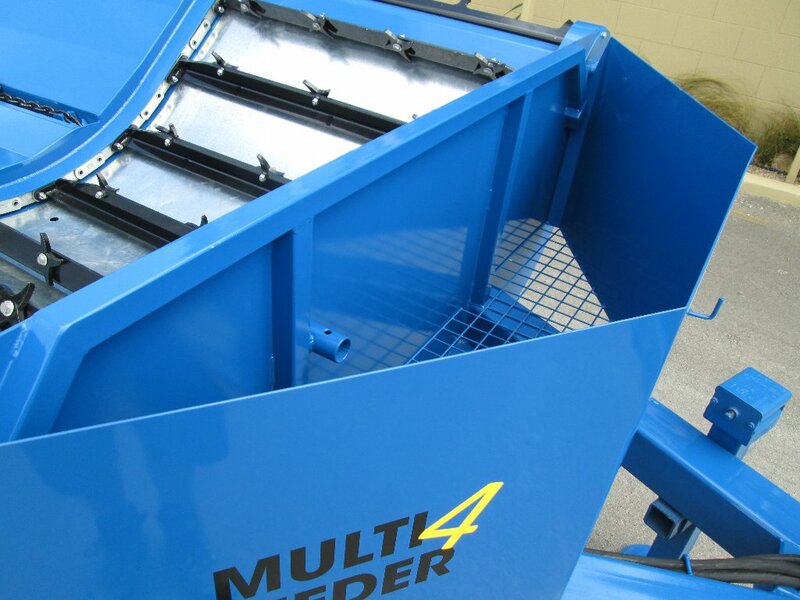 The Multi Bale Feeder with spear loading system features two box sections running through the cradle for greater strength and a lower centre of gravity rather than having the feeder on top of the chassis runners. 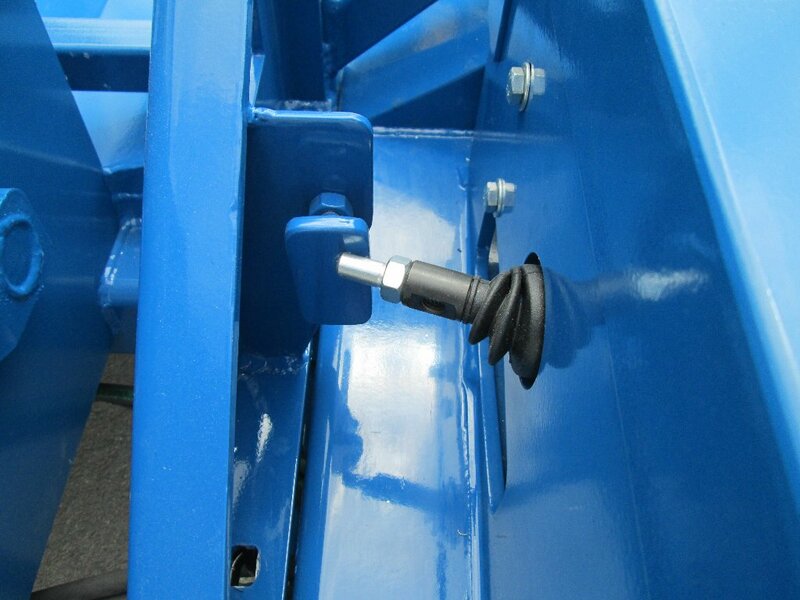 With a lower centre of gravity, the tyres can be kept in closer towards the centre of the Bale Feeder. 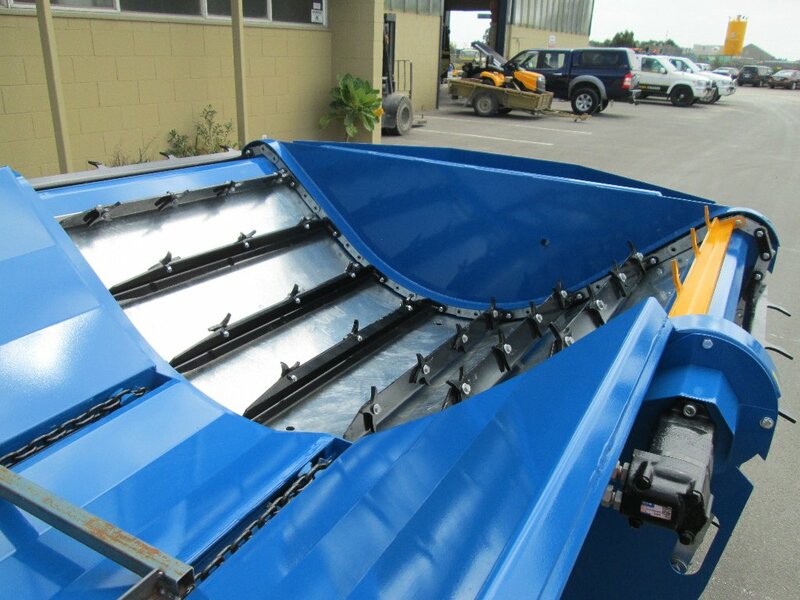 Also with the wider cradle there is a much smaller chance of running over the product even when there is a strong wind and in muddy conditions. 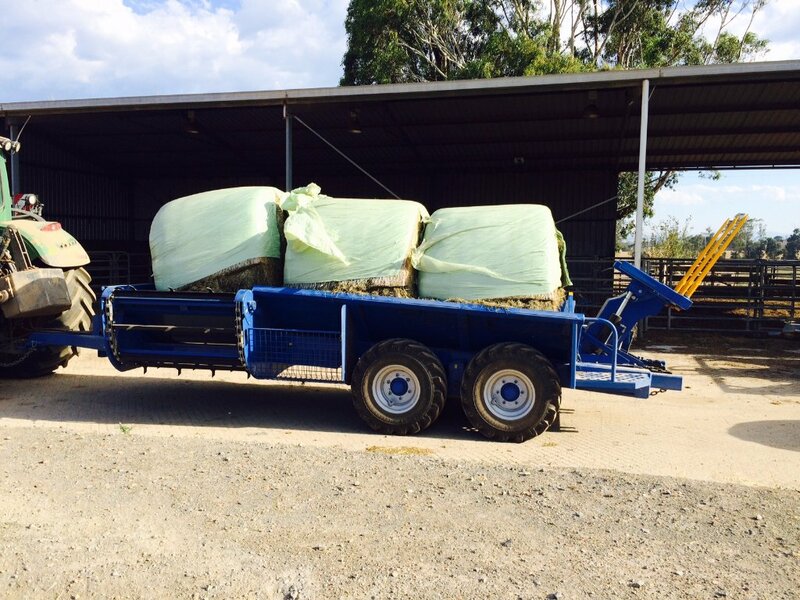 Loaded with 3 round bales. A fourth bale can be carried on the rear spears. 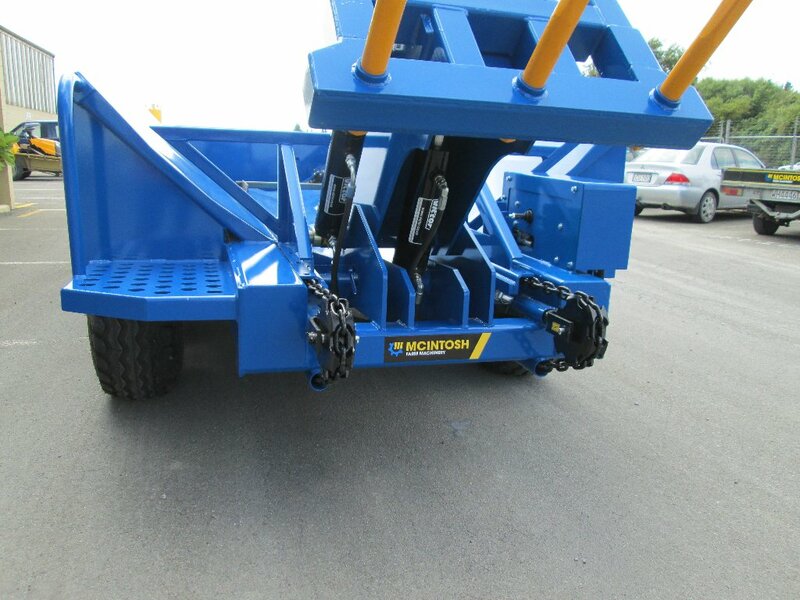 This bale feeder is fitted with the optional 11.5/80-15.3 tractor tread tyres.